I get so many questions about Sakara Life weight loss. The truth is, Sakara is about so much more than losing a few pounds. I’ve been a part of the Sakara family since late 2015. Throughout the years, I’ve eaten my way through their traditional meal delivery, bride program, and Level II Detox. I even wrote a Sakara review with a discount code! It’s safe to say I’m a big believer in living the Sakara Life. Throughout my journey with Sakara, I’ve gotten the same question more than once: will Sakara Life help me lose weight? …but there is so much more to this answer. In fact, I would challenge this belief and say that starting a Sakara meal plan is more of a lifestyle change instead of a “detox” or “diet”. Between the nutritionist-designed menu packed with all of the nutrition your body craves and the convenience of a personal chef, Sakara is a way of life. Sakara is founded on the belief of food as medicine, meaning eating a Sakara diet can help to encourage healing on many levels. 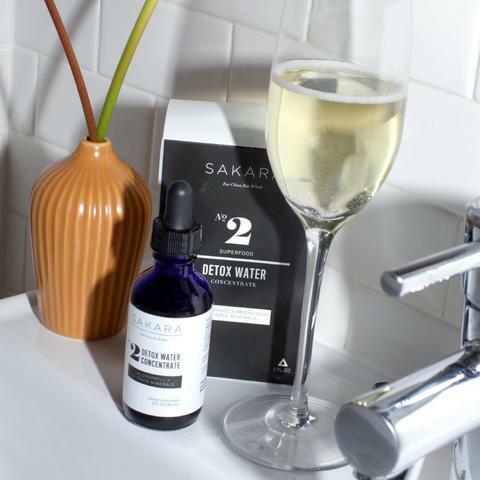 To get you information straight from the source, I chatted with Sakara to find out customer-approved benefits of this lifestyle. If you still have a question about losing weight with Sakara, here’s what corporate had to say: The Sakara Life is designed to fuel your body with what it needs when it needs it in order to find its balancing point effortlessly. If you have excess weight to lose to get to a healthy weight, you will lose it on the Sakara Life program. Clients say they see best results when enjoying the program week-after-week, and in response, we’ve recently launched our subscription model – find out more here! It’s all about what you put into it, if you are dedicated, it will show! If you’ve ever ordered from Sakara, the first thing you might notice is the absence of nutrition information on your meals. That’s because Sakara is truly focused on living a life that treats food as medicine, not something to obsess or worry about. 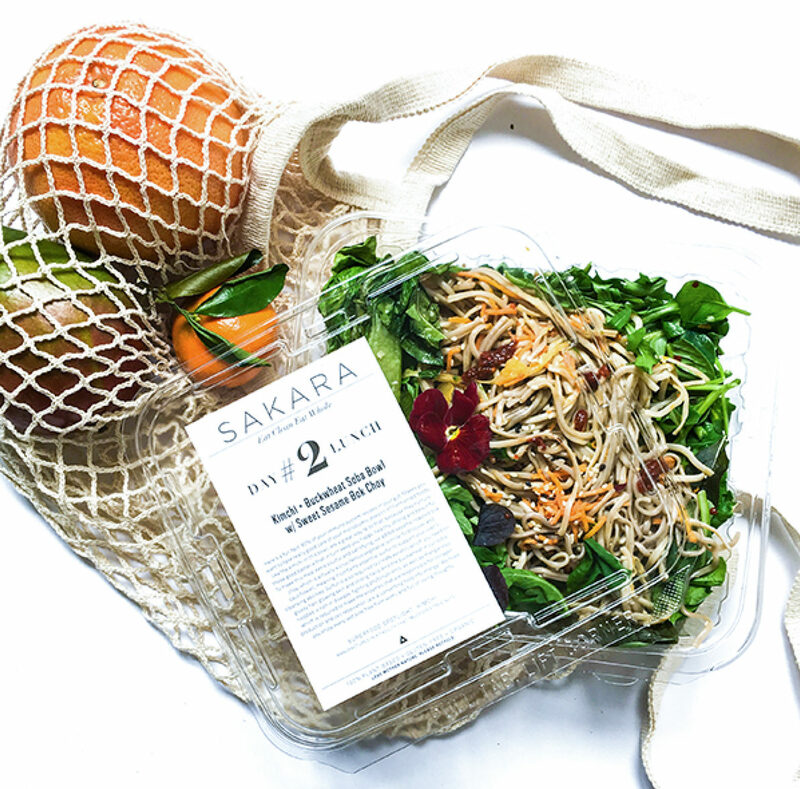 You can rest assured that your meals from Sakara are designed to nourish, encourage optimum digestion, and leave you feeling like your best self. To me, I am so appreciative of this grounded approach. Yes, ordering a meal program from Sakara will help you lose weight, but it will also allow you the chance to tune into what eating well actually feels like. Without the worry of restricting carbs, counting calories, or obsessing over portion size. Sakara encourages a lifelong and healthy relationship with the food we choose to eat. Since Sakara is more like a true lifestyle, they’ve developed supportive and healthy lifestyle products to help you on our journey. Whether your goal is weight loss or to improve the health of your gut, chances are you’ll find something in the Clean Boutique. Personally, my favorite products are the Detox bars, Life Source protein powder, and the Detox and Beauty water concentrates. These simple tools allow me to care for myself in between Sakara meals and programs. Plus, I can rest assured I’m still fueling myself with Sakara goodness. I’m a big believer that how you feel is so much more important than a number on the scale. You cannot achieve your optimal wellness if you are constantly obsessing over what you eat. I truly believe that. Sakara encourages this mindset of holistic wellness, one that touches every facet of your life. It encourages you to release the need to control your food and encourages to you to trust the process. If you’re ready to give Sakara Life a try – whether or not weight loss is your goal – check out the image below for some special savings. Have you tried Sakara before? What was the biggest change you felt? ps. 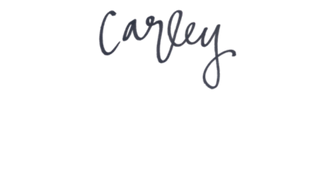 remember to use my sakara discount code !